Word clouds are generally not all that helpful given how the words are taken out of their context (sentences). In certain settings, however, they do provide meaningful information. Hashtags are one of those contexts — they are meant to be single words. The tags denote ideas or topics or places. By examining the hashtags, we can thus gain an appreciation for the most salient topics ARNOVANs are tweeting about. 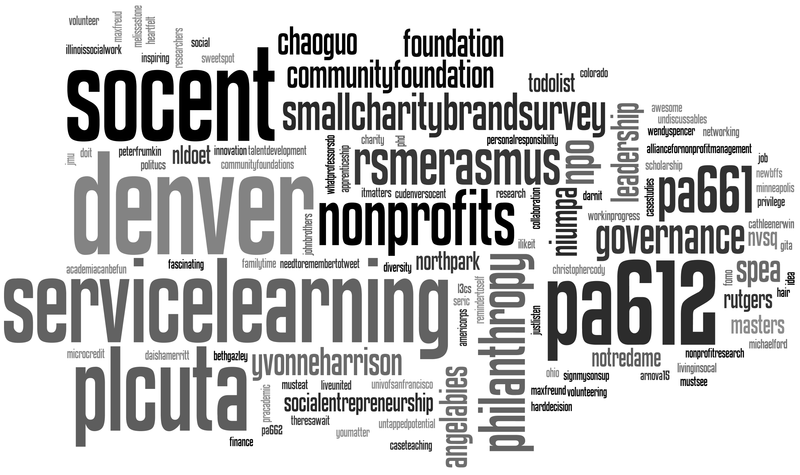 With that, here is a word cloud generated using all of the hashtags included in all 739 tweets sent with the #arnova14 hashtag as of Sunday, November 23rd @ 1pm EST. Here is a first cloud, with the #arnova14 tag excluded. The larger the tag, the more frequently it was used. You can see that two tags predominated, #nonprofit and #allianceR2P. 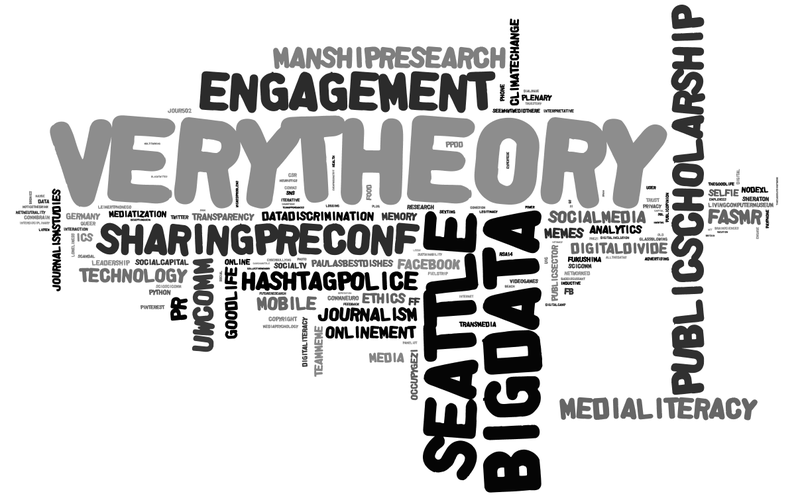 To help see other topics, here’s a final tag cloud without these two tags. It was also refreshing to see linguistic diversity in the hashtags — especially a large number of Arabic tags. Unfortunately, the word cloud visualizer I used (Wordle) could not recognize these (if anyone knows of a good workaround please let me know). If anyone is interested in the Python code used to generate this just shoot me an email. I’ll leave the analysis up to you. Some interesting things here! I hope you all had a great conference and see you next year!